Proteins are large biomolecules. The basic building blocks of protein are called amino acids. There are twenty different amino acids that can be combined in an infinite number of ways to make up all the thousands of different proteins your body needs. Of these twenty amino acids, your body can manufacture eleven. 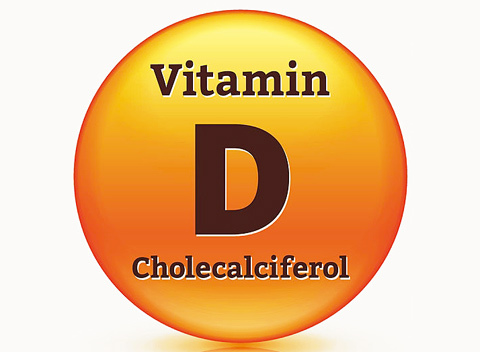 The other nine must be supplied by your diet and are called “the essential amino acids”. Protein is an essential part of our diets. 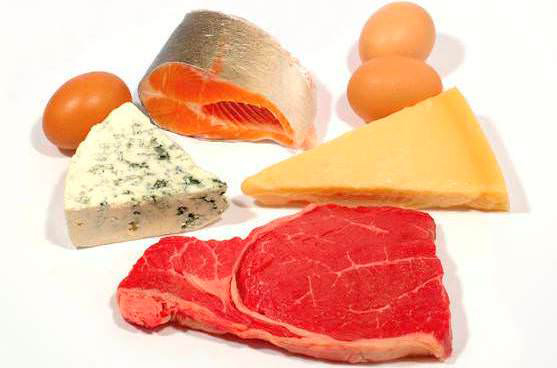 An adequate amount of protein is needed for growth and repair of our body’s tissues such as muscles, skin and teeth. Protein is involved in virtually all of our body’s biological processes. Like carbohydrate, protein provides calories that can be used by the body as a source of energy, but there are many vital functions that only protein can perform. For instance, proteins are part of enzymes, which are compounds that facilitate and accelerate chemical reactions throughout the body. Proteins also serve as building materials for the growth and repair of body tissues. Your body is constantly tearing down and building back up its muscles, connective tissues, blood and skin. It will recycle some amino acids while eliminating others. You are in a continual state of protein turnover. Having enough protein is important in weight loss as protein has a stimulating effect on the metabolism. This means that protein can help your body burn up more calories so they are less likely to be stored as fat. By intensive training, eating more protein and less refined carbohydrates and saturated fats, you can stimulate fat loss. Your body can’t bank a significant amount of amino acids, so it is important to eat some protein every day. But how much? The Recommended Dietary Allowance (RDA) for protein for the average adult is 0.8 grams of protein for every kilogram that we weigh. It means that the recommended intake for women is 44-50 grams a day and for men is 56-60. A typical American diet provides almost twice the necessary protein. There are no benefits, and some risks associated with eating too much protein. What’s the best way to get your protein? Using one of the favorite words of most nutritionist – in a variety of foods. By getting all your protein from animal foods you may risk getting too much fat and cholesterol and endangering the health of your heart and blood vessels. The higher your intake of protein rich foods as meat and whole milk the more likely fruits, vegetables, legumes and grains will be crowded out. Also, diets higher in protein increase the body’s excretion of calcium, necessitating a higher intake of that mineral. Too much protein can also cause dehydration since water is pulled from the body to dilute the nitrogen waste from protein degradation which is flushed out through the kidneys. What is left behind after your body rids the unnecessary nitrogen becomes a source of calories. Each gram of protein supplies 4 calories. If your daily need for calories has been met the excess will be stored as fat. 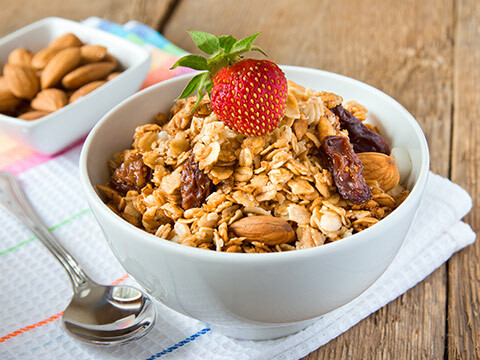 Protein in your diet can come from not only animal products, like milk, meat and eggs, but also from plant protein, such as legumes, nuts and whole grains. In fact a large percentage of the world’s population thrives on plant proteins. There is a major difference between these two protein sources though, and that is in their ability to provide you with all nine essential amino acids. Animal products contain “complete proteins” and one source will supply you with the needed nine. Plant proteins, on the other hand, are usually deficient in one or more of the nine and so are considered “incomplete proteins”. The notable exception to this is soy protein. In general, animal proteins (meat, fish, poultry, milk, cheese and eggs) are considered good sources of complete proteins. 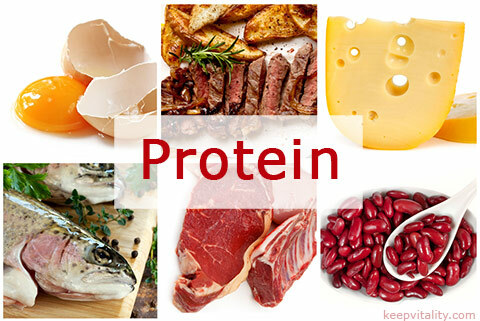 Complete proteins contain ample amounts of all essential amino acids. On the other hand, vegetable proteins (grains, legumes, tofu, nuts, seeds) are called incomplete proteins, because they are missing or do not have enough of one or more of the essential amino acids. But don’t be fooled by the word incomplete. Although they do not have all nine essential amino acids, these proteins can make a complete protein when they are combined appropriately. The task may seem a bit daunting, but it is actually easy. The three groups of plant foods that are the best sources of protein are grains, cereals, beans and peas, and nuts and seeds. When at least two of these three groups are present in a meal or eaten separately throughout the day, your body can make a complete protein. For instance, peanut butter on whole wheat bread; rice and beans; or tofu-vegetable stir-fry over rice or pasta. Grains: Barley, Bulgur, Corn meal, Oats, Buckwheat, Rice, Pasta, Rye, Wheat. Legumes: Beans, Lentils, Dried peas, Chickpeas, Soy products, Pecans. Nuts/Seeds: Sesame seeds, Sunflower seeds, Walnuts, Cashews, Pumpkin seeds, Almonds, Peanuts/peanut butter. In order to get a complete protein from plant sources you need to combine different foods such that their proteins complement each other by making up for each other’s shortages. Peanut butter on bread is a kid favorite example. Cultures all over the world have been making complete protein out of plant sources for hundreds of years… beans and rice, corn bread and baked beans, and tofu and rice. Incomplete proteins can also be complimented with the use of a small amount of animal protein – like macaroni and cheese or milk and cereal. 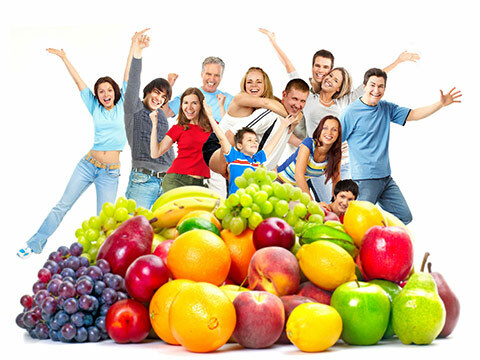 You needn’t eat complimentary proteins at the same time, usually within the same day is enough.